Item shown above : Item as shown. (Mini Helmet NOT INCLUDED). This display case comes in 2 parts: with the black color plastic holder stand and the UV protection acrylic cover. 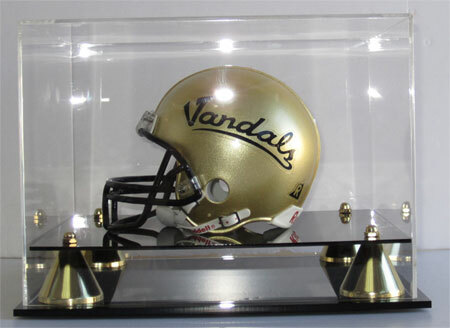 This display case would be a great way to present a mini Helmet while protecting and prevent dust. Why hide your proud collection in the closet. Bring it out and show to share.